A teardown of Facebook's user data archive has revealed the fact that the company collects private user data including well-detailed call logs and text metadata. The company has been involved in a number of cases pertaining to privacy issues, and this is just another icing on the cake. Facebook may be the biggest social media platform in the world but the company has come under fire over the past few weeks with multiple cases of privacy violation. The issue with Cambridge Analytica reared its head up last week but that isn't as bad as it gets for Zuckerberg's company, as it has been revealed that the company also collects sensitive user data, and without permission. According to the source report, Dylan McKay, a Facebook user from New Zealand, downloaded an archive of his entire Facebook data, and a quick look revealed systematically-collated metrics of his calls, including time of calls, numbers dialed, and call durations. There was also SMS and MMS metadata present. This data swipe has apparently been going on for about five years since Android Jelly Bean. It is, however, specific to Android, and doesn't affect iOS devices. I downloaded an archive of my own profile and couldn't find the exact file with the call logs. However, there still is a ton of data that you'd be surprised the company actually collects about you. There's a chance I couldn't find the file because of how clumsy I am, or Facebook may have pulled it from the profile data download algorithm. Nevertheless, there are screenshots from Dylan, and confirmation from the good folks over at Arstechnica. According to the report, the platform collects data on both its main app and the Lite version. 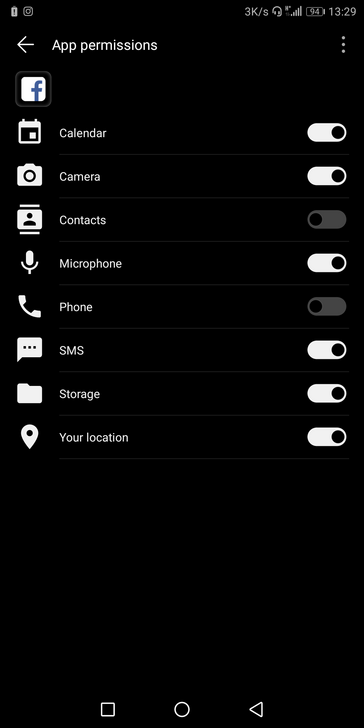 A quick check on my Lite permissions shows that the app requests for calendar, camera, contacts, microphone, phone, SMS, storage, and location permissions. Of course, most of those are sensible, as Facebook does make use of contact data for Friends suggestions and other similar features. Revoking those permissions doesn't break the app, either, so you may want to go ahead and toggle them off. Or just delete Facebook entirely. Whichever one suits you.